Having tried several of Lush's bath bombs recently and deciding that I much prefer a bath with bubbles I decided to treat myself to a couple of bubble bars from the Mothers day range after having a particular bad day. I picked up Rose and Ultraviolet. I decided to go for Rose because it's reasonably priced (for Lush) at just £2.95, looks very pretty and I don't mind rose as a scent. As it's a small bubble bar I decided to use the whole thing for one bath. The idea with bubble bars is to crumble it under the running water, but when I went to do this I realised this is a bit of a problem for me. The bath in my house doesn't have any power behind the hot water, so you can't run the hot and the cold at the same time because the cold just overpowers the hot and you end up with a cold bath. So you have to run about 4 inches of cold water into the bottom of the bath and then fill up the rest with hot water. This means though that the hot water is far too hot to actually put your hand under so I had to crumble it around where the water was running rather than under it. So I'm not sure if this meant that it produced less bubbles then it would normally do. Although I could smell the rose scent when sniffing the bar I couldn't smell it when I was crumbling it under the water or in the bath. It tinged the bath a light pink colour and produced a reasonable amount of bubbles but I wasn't swamped by them, which I think is kind of what you want in a bubble bath! Although the bubble bar looks quite glittery I didn't particularly notice this in the bath and none of it stuck to me when I came out. This one contains fair trade organic cocoa butter, lemon oil, sweet orange oil and organic rose hip oil but again I didn't notice the oil on the water (although it's likely this was covered by the bubbles) and although I forgot to actually check I don't remember my skin feeling particularly nourished. It's an ok bubble bar but even though it's one of the cheapest I'm not sure it's really worth it for one, maybe two baths. 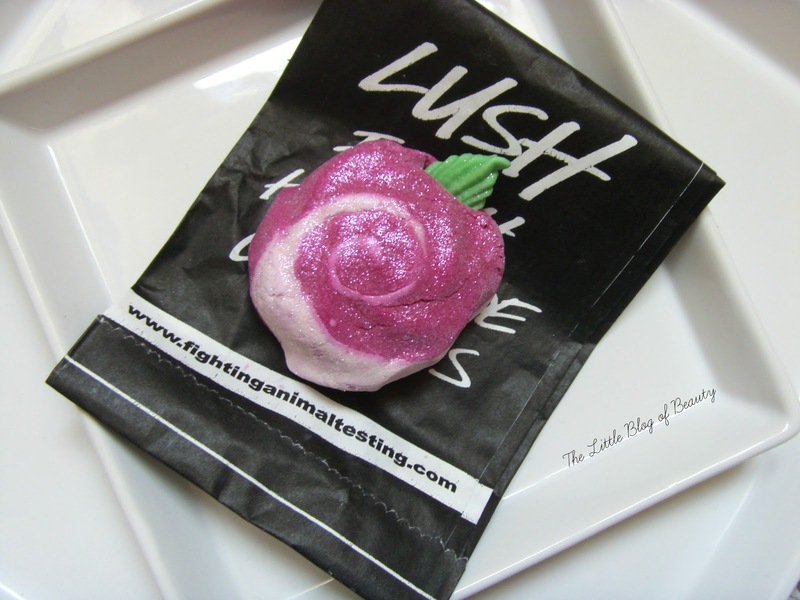 The Lush Rose bubble bar is still available on the Lush website (I'm not sure if it's still available in store) but as this is part of the Mothers day collection it may not be around for much longer. 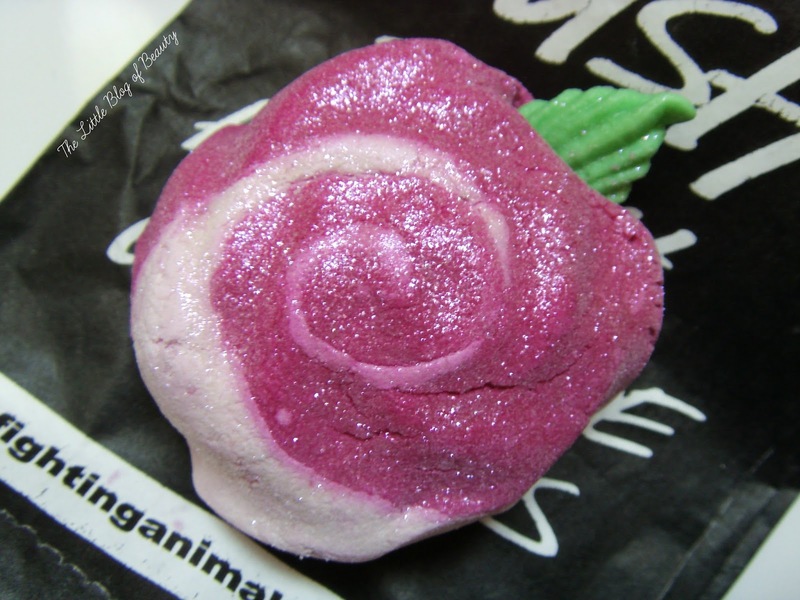 Have you tried Rose bubble bar? Great post - it's a shame that this bubble bar didn't have the wow factor! I think my favourite Bubble bar from Lush is Brightside or the Comforter, which produces sooo many bubbles! It looks so pretty, what a shame it was so disappointing!